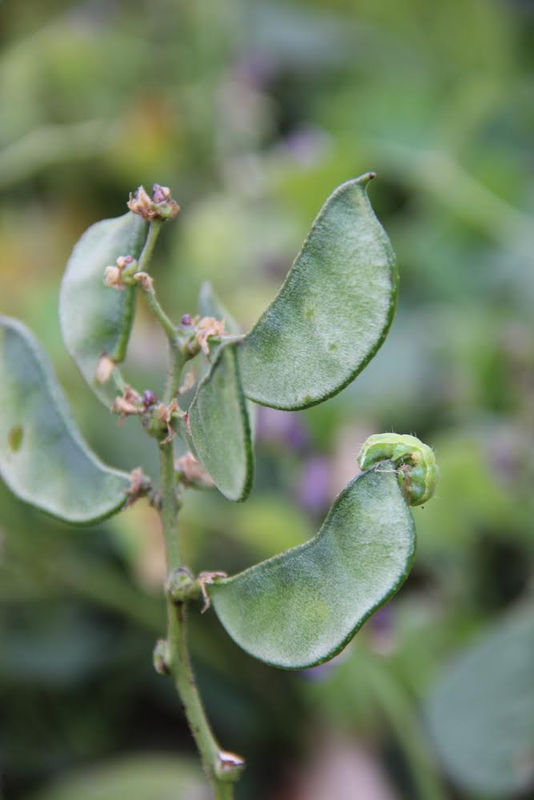 Lablab bean (Lablab purpureus) has proven to be a top-performing legume in HGBF-funded ECHO research trials in South Africa. Currently, lablab is being evaluated in an intercropping system with maize and cowpea. A prostrate variety of cowpea is being grown that spreads rapidly and produces a crop early, within 12 weeks of planting. Lablab is slower to establish, but if well-watered in the early months, can continue to produce green fodder and biomass during prolonged dry spells later in the growing season (Bunch, Roland. 2012. Restoring the Soil. Winnipeg: Canadian Food Grains Bank). This proved to be the case in 2013-14 season trials at Ukulima Farm in South Africa. Results indicated that cowpea and lablab can be planted together with maize to extend the time over which food/fodder is produced. At the onset of the dry season, after the cowpea and maize were harvested, the lablab (‘Rongai’ variety) was still green and vigorous, providing excellent ground cover and a living mulch. However, while producing dense, late-season biomass, seed harvest was adversely affected by small green and brown worms that bored holes through the maturing seed pods and feasted on the developing seeds. Many of the mature pods were opened to find shriveled seeds or no seeds at all. 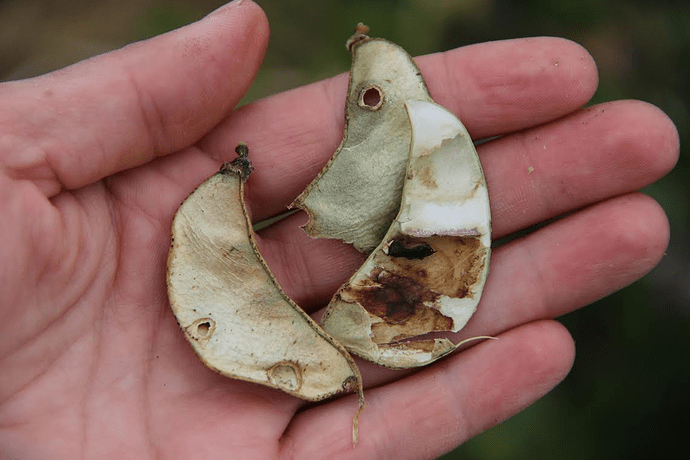 After some research, it appears that the culprit is most likely Adisura atkinsoni, a pod-boring pest whose larvae makes holes in the pods and feed on the seeds as they develop. We here in South Africa are curious about others’ experiences with lablab and with pod-borer pests. Please see attached pictures of damage done to the lablab. Does anyone have experience dealing with this pest? Are there any suggestions for control? What management practices have you found helpful or unhelpful?